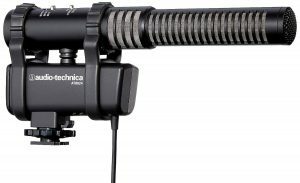 Audio-Technica’ s shortest shotgun microphone, it is not the lowest on quality. With narrow design, it easily provides the narrow acceptance angle desirable for long-distance sound pickup. And when it comes to long distances you can just mount AT875R on a boom pole. The mic picks up the human voice natural and undistorted. The voices are clear due to filtering away low-frequency noises, and the mic does not produce its own cheap hiss either. The size is good, as I said before, but it also gives you a durable feel, not much to break here. 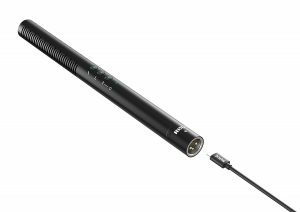 This shotgun uses an XLR output and requires a source of 48V phantom power, which means you cannot directly plug it into any camera. Go with mic preamp, Zoom or a similar recorder to power up the device. 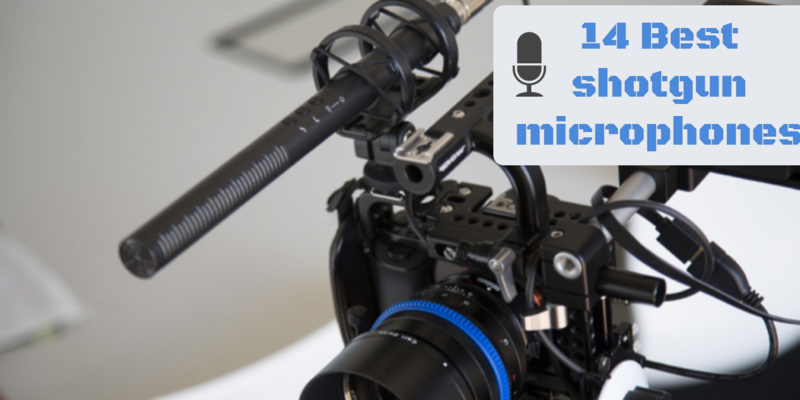 This mic is actually one of the biggest that work with DSLR cameras. MKE 600 is probably the best raw performer in its 10” range. The lower end initially rolls off at 100 Hz. Except for depth water charges, everything below 100 Hz is mud and noise, but this is not the limit yet and with Sennheiser MKE 600 you have an opportunity to clean up to 200 Hz. The good surprise is that despite filtering out all the low-frequency noise this mic picks up all the low volume sounds you would rather keep. All that’s left to record is a loud and crispy clean sound. This is achieved with the standard foam windscreen, but the optional fluffy one (Sennheiser MZH 600) will make your ears even happier. It is the $349 price that may disappoint you. Phantom power or alternative of battery power with a “Low Batt” indicator. Low-cut filter for minimizing wind noise. Includes hairy Sennheiser MZH 600 Windshield. An option under $300, Rode NTG2 is another short-range shotgun with accurate sound while delivering an excellent amount of noise rejection. 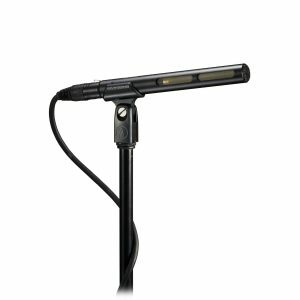 The quality to price ratio makes NTG2 one of the most popular mics at this moment. The sound is represented with accuracy richness and the mic is sensitive enough to capture every slightest detail. Naturally, NTG2 works in any environment, low-frequency noise is significantly cut off. Just like it says on Specifications board on Amazon website, SPL level is 131dB which extends mic’s operation into pretty noisy territory. Some more numbers for you, maximum output level: 6.9mV and sensitivity: -36.0dB re 1 Volt/Pascal (15.00mV @ 94 dB SPL) +/- 2 dB @ 1kHz. There is a nice little thing about NTG2 – it handles popping sounds quite well. But NTG2 has a bit of a bad surprise for you as well: there is not on/off switch, absolutely none. If you want to save the battery that would take disassembling the mic’s battery compartment. Two step high-pass filter – flat or 80 Hz. Foam windscreen not good enough. Azden SGM-1X is certainly the best thing in $150 range. 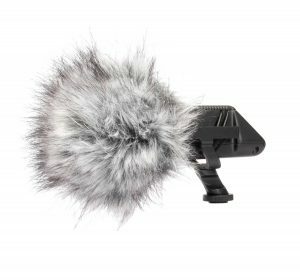 Basically, for the price of a professional shotgun with a similar directional pattern you can get a whole bunch of these for a number of camera crews. For a shotgun mic, directionality is most crucial. And in terms of directionality SGM-1X is not inferior to more expensive models of the same length. It terms of precision, though, Azden SGM-1X loses to more advanced Rode and Audio Technica shotguns, of course. The shaky frequency diagram would not let it win. Still, on a larger scale, the medium and high frequencies appear balanced. More importantly, this mic avails a great amount of detail and clarity. Which translates into a great capturing of speech. Nothing muffled or nasal with Azden SGM-1X. It just captures anything that gets into its range. Although, with max SPL of 110 dB, this is a poorer choice for noisy parties than the previous model in this list. You will pick up some unwanted distortion. Super-cardioids or Omni pickup patterns. Not so good for parties. This review would not be complete without a paragraph about Rode VideoMic Pro Compact. Rode VideoMic Pro VMP is a compact professional mic that perfectly sits on any DSLR camera and works off every buck you pay for it. For starters, it eliminates the unwanted noise such as hiss and handling noises. Clean and natural sound is what you get on the record. 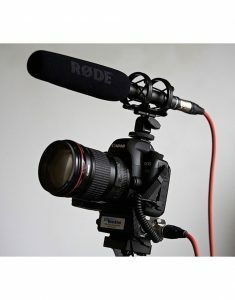 And it is easy to collect what VideoMic Pro delivers because it does not use XLR connection or any preamps. In my other review, I already mentioned the option of switching between -10 dB, 0 and +20 dB modes. Here I’d like to add that you should set it to +20 dB for most environments to eliminate the hiss. Another thing worth mentioning is that this mic also reduces overblown bass. The shock mount does its job as well. None really (unless you want it bigger and longer). 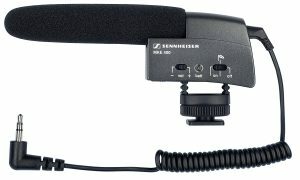 Long-time rival of the RØDE above (since January 2011 to be exact), Sennheiser stands its ground. People in the business still can’t say for sure which one is better. The bad news though is both of them are not for windy open air. And again, if you simply adjust the volume level a few dB in Final Cut Pro with proper wind cut switches the two mics would sound nearly identical. So, we have to conclude that it is not the sound quality that distinguishes the mics, it is the build and materials. Sennheiser MKE 400 has a rugged all-metal housing, so it wins. And rubberbands on the RØDE VideoMic Pro constantly pop out of place. But the ones on MKE 400 are more difficult to put back into place. Changing a battery would make you sweat on the RØDE, while it is super easy on the Sennheiser. More than 300 hrs operating time from 1 AAA battery. To make things more complicated there is also this little thing. It is awesome in its own way. Stereo VideoMic is not directional, so it works particularly for recording environmental and ambient sounds. For applications that rely on direction, like dialogues, go with the VideoMic Pro recommendation. Two high-res 1/2″ capsules (condenser) in the unit with an X/Y offer a natural sound. The maximum SPL is 134dB SPL (@ 1kHz, 1% THD into 1KΩ load) so it is good for parties. As with others mics, you get a built-in shock system and a high-pass filter at 80Hz to cut out low-frequency noise like AC or traffic. 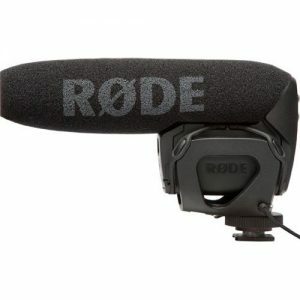 RØDE Microphones offers 10-year warranty for this mic like every other as well. Integrated cold-shoe mount, 1/4” and 3/8” thread. Picks up sounds from handling the camera. Technically not a mic, but a recorder, Shure VP83F LensHopper is one the best things you can get for $300. Portable digital recorders are often used to improve the audio of video recordings as they give you the ability to make recordings at higher resolutions and bit-rates than your camera can. 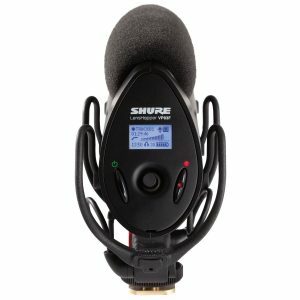 The Shure VP83F LensHopper is a perfect example of a compact on-camera shotgun microphone that features an integrated audio recorder. You can detach the included mini-plug output cable to use the VP83F on your camera, but you can also record with it independently. Audio files are saved on MicroSDHC, with cards up to 32GB. Two AA batteries give you up 10 hours of operation time. A headphone output is integrated into its base, plus a Rycote Lyre shockmount. 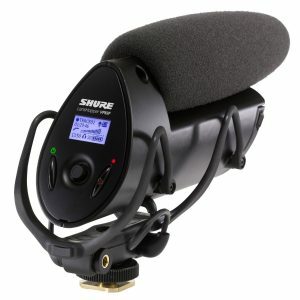 As always, a better windscreen, the Shure Fur Windjammer, is available for extra cash, $45. Being a recorder, it features an LCD screen for complete activity monitoring from home screen: audio and battery metering, track information, headphone volume, mic gain, low-cut filter, and remaining recording time. There is even a 5-position joystick to provide the best control. One-touch record button won’t let you fail to start recording. Fully-adjustable user gain (up to 60 dB in 1dB increments) is here for fine-tuning the audio. Many people rate this mic higher than glorified Rode VideoMic Pro. Works without recording unit as a regular mic. Only 10 hours battery power. Extra hardware to handle, store and transport. Let’s look at some premium stuff. 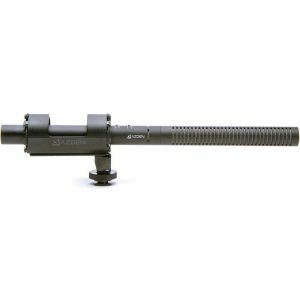 MKH416 is a popular premium shotgun mic for those with cash to spare. 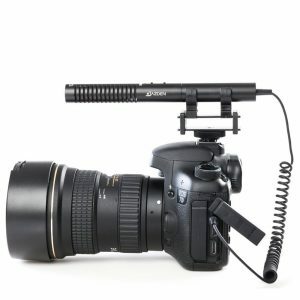 Fos starters, this rugged, all-metal body mic can definitely work outdoor shoots in most weather conditions. MKH416 has 130dB peak‑SPL handling and a neutral sound, without the brittle high frequencies that can mar cheaper models. Sensitivity in free field, no load (1kHz): 25 mV/Pa +- 1 dB. I mean, because this microphone is professional a long list of specifications is available. Another example: “Equivalent noise level weighted as per CCIR 468-3: 24 dB”. 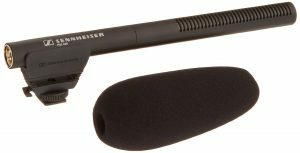 This Sennheiser is used in many movie productions, voice-over work, and other professional applications. If you have been doing those with cheaper mics you are definitely going to stop wasting your time on edits and retakes. You kind of can use it for spying as well, since it picks up speech from over 30 yards (meters) away. Shortly put, this is SENNHEISER. Back to more affordable things. 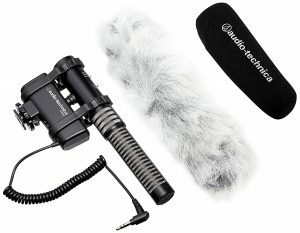 Another pro filmmaking microphone by Audio-Technica works with DSLR cameras. 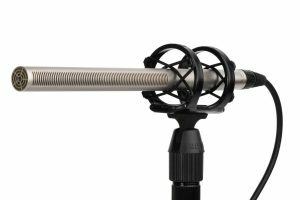 The AT8024 is a stereo microphone that plugs into 1/8th inch (3.5mm) microphone jack and is powered by a single AA battery. This AT8024 kit comes with a foam windscreen for indoor use and a furry windscreen for outdoors. 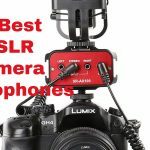 The mic also features a shock mount to eliminate handling noise while you operate the DSLR and has a low-frequency roll-off selector to reduce all the undesired ambient noises. As a result, the mic can be pretty good for live sound. Not very good rejection of side sounds in mono shotgun mode. After quite a few expensive mics let me cheer you up with a $79.95 Hammer & Anvil MK-ENG600. This H&A mic features an extended tube length of 15 inches with an extremely narrow, highly directional super cardioid polar pickup pattern subduing undesired off-axis sound. 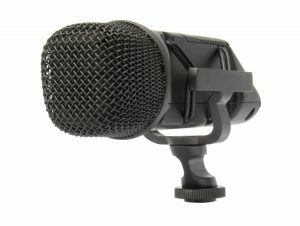 This is the certainly the hardware for the clear capture of dialogue, and this mic is popular among broadcast professionals, theater and sound design applications. There is no electrical noise or hiss at all, the input levels have to be cranked up to “insane” to induce any unpleasantness. It comes with a complete kit, just add your favorite XLR cable. Designed for camcorder or video DSLR. Switchable 80Hz high-pass low-cut filter. Azden (SMX-10) is not really high-performance. It gets the job done. Easy to use with the built-in cable with 3.5mm plug. Maximum SPL of 100dB makes it unfit for parties. 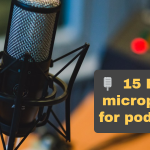 Don’t be surprised to see another RØDE mic in this list. Be surprised that you can finally charge your mic super easily via MicroUSB like many other gadgets and this one will take under 2 hours to charge fully and proceed to 150 hours of operation. Besides the awesome battery, NTG4+ features an all-new condenser capsule with low noise circuitry and high sensitivity. The NTG4+ has three digitally-switched buttons with LED indicators. The switches allow quick access to a high-frequency boost, a high-pass filter, and a 10dB pad, the features that amount to on-board equalization, no less. There is a high-pass filter here is Flat/75Hz. Maximum SPL is 135dB, one of the highest on the list. Additionally, the buttons allow you to switch quickly between phantom power and the internal battery. Rechargeable lithium battery, via MicroUSB. They keep crossing out the O in RØDE. Another mic with a deceptive name as NTG3 actually outranks any of NTG4s. NTG3 is professional hardware with smooth response, generous pick-up pattern, and superior interference rejection. This mic employs a technology known as RF-bias, which makes radio frequency interference a non-issue. The NTG-3 even rejects interference from cellphones. 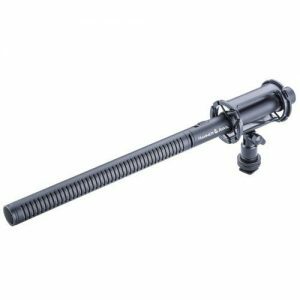 This mic troubles you with 50% less self-noise than most shotgun microphones and is almost completely resistant to moisture. With superior sound quality and rugged design, there is no doubt this mic should be in every top-list. High level of immunity to RF interference.